Is there anything cooler than jet-black foods and drinks that actually don’t taste burnt? Black ice cream. Black brioche buns. Black juices. 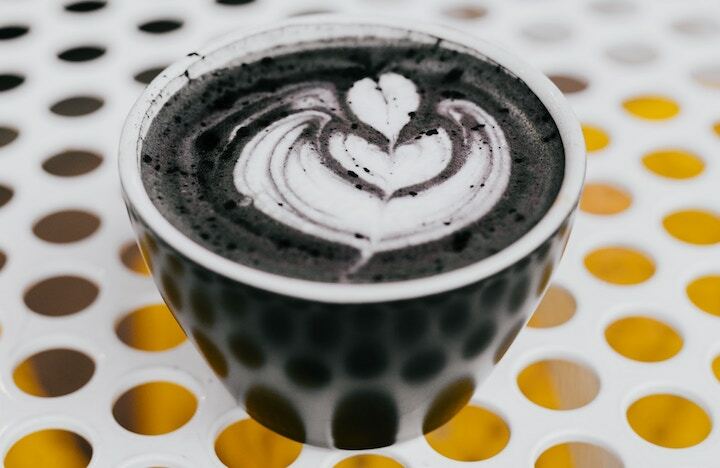 Foods and drinks infused with activated charcoal have surged to popularity on the wellness scene, but are there is a problem with this chic trend. Due to its porous nature, activated charcoal is a phenomenal cleanser of the body, outside and in. It’s used in beauty products to help detoxify the skin and powerfully clean pores. It is used in toothpastes to help whiten teeth. And activated charcoal has long been used in emergency rooms on victims of drug overdose, as it excels at binding to toxins and preventing them from being absorbed by the body. For regular consumption in your snacks and juices, though, activated charcoal may be too powerful of a detoxifier. But activated charcoal will help me clean out my toxins! Yes, that’s probably true. It’s very efficient at clinging to toxic particles in the digestive tract and carrying them out in excrement. But how does the charcoal differentiate toxins from nutrients? Unfortunately, it doesn’t. The problem with consuming activated charcoal is that it adsorbs indiscriminately. Yes, it will adsorb toxins. But it may bind to and deplete important nutrients and minerals in your digestive system, as well. So adding activated charcoal to the green juices that are meant to nourish the body with loads of nutrients seems pretty counterintuitive. 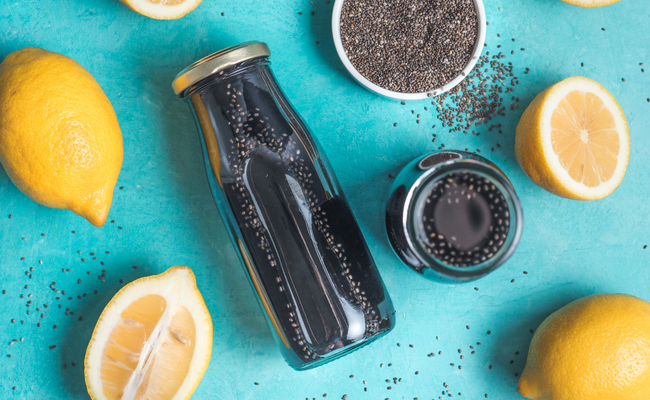 Juice Generation, for instance, has created an Activated Protein juice that combines almonds, hemp seeds, dates, vanilla, and activated charcoal. The drink contains two teaspoons of activated charcoal powder. What is the charcoal doing for the drinker? Or, maybe they are just throwing their money down the digestive drain, not even reaping the full benefits of the nourishing almonds, hemp seeds, and dates within the drink. Last summer, Pressed Juicery launched a limited edition juice containing spinach, romaine, parsley, coconut water, and–yep–activated charcoal. Are those amazing nutrients from the greens and coconut water bioavailable, if they’re paired with activated charcoal? Probably not in their entirety. The fact is that we really don’t know what activated charcoal will bind to in the bottle or in our digestive tract. We hope it’s toxins, but it could be good stuff, too. Not all charcoal-infused products are trendy gimmicks. Some companies creating these charcoal-infused beverages are designing them specifically for deep detox purposes. Four Sigmatic’s Mushroom Lemonade with chaga and charcoal is specifically designed to be consumed occasionally in a semi-fasting state or during a larger detox period. So, if it makes you feel cleaner and isn’t being consumed around meals, it might actually provide some real benefits. It’s also important to be aware that consuming products infused with activated charcoal may interact with prescription medications or render them ineffective. Consult your doctor if you are taking meds before trying any activated charcoal products. There are currently no studies affirming or contradicting the beneficial use of charcoal in foods and juices, but basic logic suggests that you should avoid consuming charcoal-infused food and drinks around your most nourishing and nutrient-rich meals of the day. Otherwise, consciously adding a few charcoal-infused foods and products into your routine is relatively harmless. 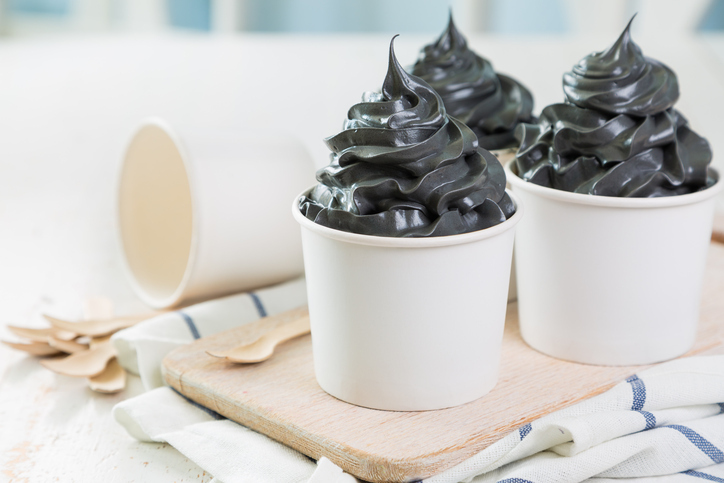 But if you think adding charcoal to ice cream will magically make it calorie-free, think again. Are Your Healing Crystals Doing More Harm Than Good? How Much Vitamin D Can You Absorb from the Sun? It’s Complicated. we can buy activated charcoal at the pharmacy, and I use it ONLY when I have a severe diarrhea. First of all, this is NOT a chemical product, and when possible, I try to use herbal remedies or others, like charcoal for instance. I an guarantee you that it works WONDERFULLY, and unlike many real medication, you have less difficulties when you take 1 or 2 too much. With other medication against diarrhea, it often happened that I could not go to the toilet for 2 or 3 days, and then, it were very hard marbles.. Very painful you know... Now with this activated charcoal, I take just as many until my diarrhea stops, at a max. of 4 per day, and then I take 2 tablets during 1 days, and 1 tablet the day thereafter. I try to start eating normally, so do not exaggerate with fat or too much raw vegetables or fruits, and I can forget about the hard marbles as well. Of course, all is beautiful black colored, but I know this is not dangerous... For all these stupid things like ice cream etc.. NO THANK YOU. It does not taste very well either !! But for all the "morons" who think they are funny by serving you a black ice cream, I'm sure they don't know that they throw away all their "good" minerals, vitamins, etc.. and just give me a white (vanilla) or brown (chocolate) ice cream. Playing around with your food is NEVER a good idea !! I love crazy but these people are just a little over the line. Let the EMT's use it for drug and alcohol overdoses. Drink in moderation and don't take any drugs. Activated Charcoal is nasty and these drinks and diets are made up.